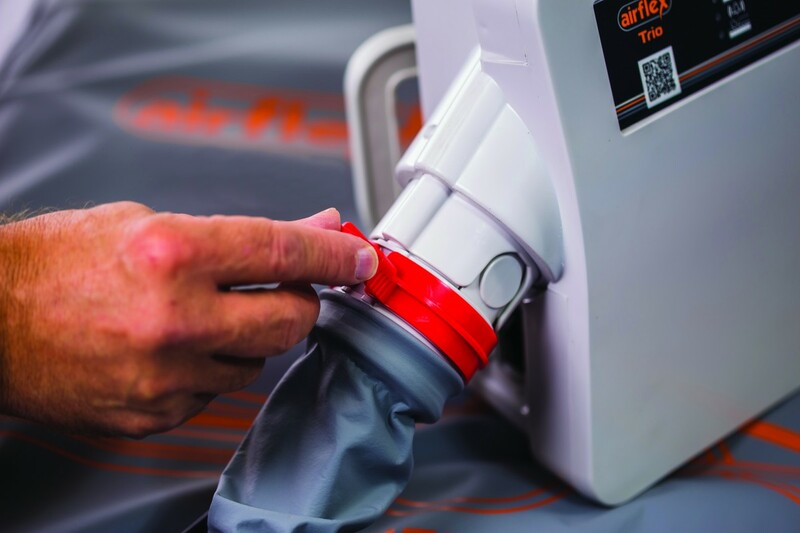 AirFlex® TRIO is an innovative, cost effective, 3 cell-cycle alternating pressure air mattress designed to prevent pressure injuries in vulnerable patients at high to very high risk of pressure injury development. 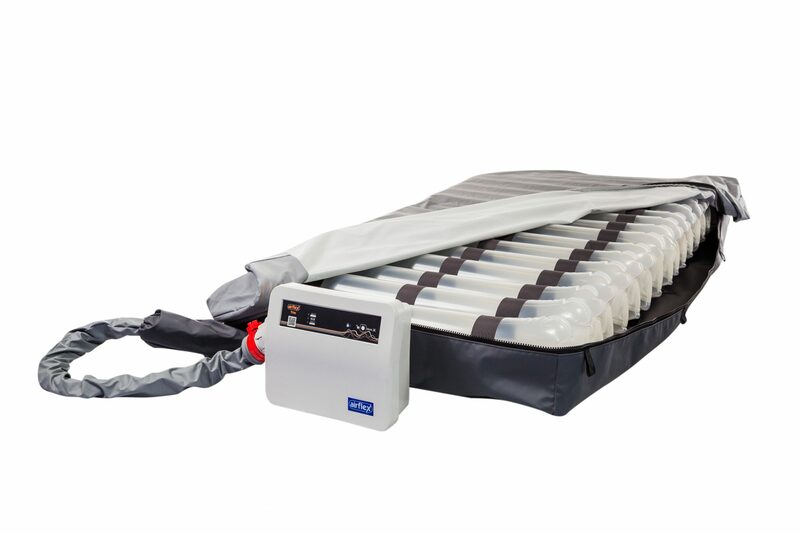 The mattress features advanced solenoid technology to facilitate the rapid redirection of airflow which enables the effective off-loading of interface pressure on vulnerable tissue. Cell-in-cell construction improves patient comfort and safety by providing a permanently inflated base portion beneath the active alternating component of the air-cell. The 3:1 alternation and the 15 minute cycle time of AirFlex® TRIO allows the regular and effective relief of interface pressure from beneath the bony prominences. At all times, the patient’s body is supported by 50% more cells than found in the traditional 2:1 alternating pattern thus providing superior patient comfort and care. A comfort control reduces internal mattress pressure for frail and underweight patients. Advanced engineering and a quality compressor have created a dynamic support surface that is therapeutic for patients weighing from 20 to 220 kg.